Since the team’s inception in 1946, the Boston Celtics have been at the heart of the culture and history of the city they call home. And as Boston has transformed over the years, the Celtics too have evolved to reflect and embrace the changing times. In a book like no other, veteran writer and lifelong Celtics fan Michael McClellan brings Celtics history to life through exclusive interviews with legendary Celtics players and celebrity supporters, while using pop culture and music as a soundtrack. More than thirty interviewees are featured in this iconic book. Hall-of-Famer Bob Cousy recalls the turmoil of the fifties, as the franchise struggled to get its footing and the nation faced the birth of the Civil Rights Movement. K. C. Jones and Clyde Lovellette narrate the glory of the Bill Russell era, as Russell himself remembers his time as a Celtic. Celebrated players John Havlicek and Dave Cowens relate the ups and downs of the psychedelic seventies, when the team won two national titles, only to collapse at the end of the decade. The epic eighties Celtics-Lakers rivalry and the leadership of legends Larry Bird and Magic Johnson is told by teammates Robert Parish, Dennis Johnson, and Nate Archibald, and rivals Julius Erving and Kareem Abdul-Jabbar. Former Celtics honor the legacy of Reggie Lewis and relay the dark days after his untimely passing in 1993, and the revival of the Celtics under the guidance of Paul Pierce and Brad Stevens in the 2000s. 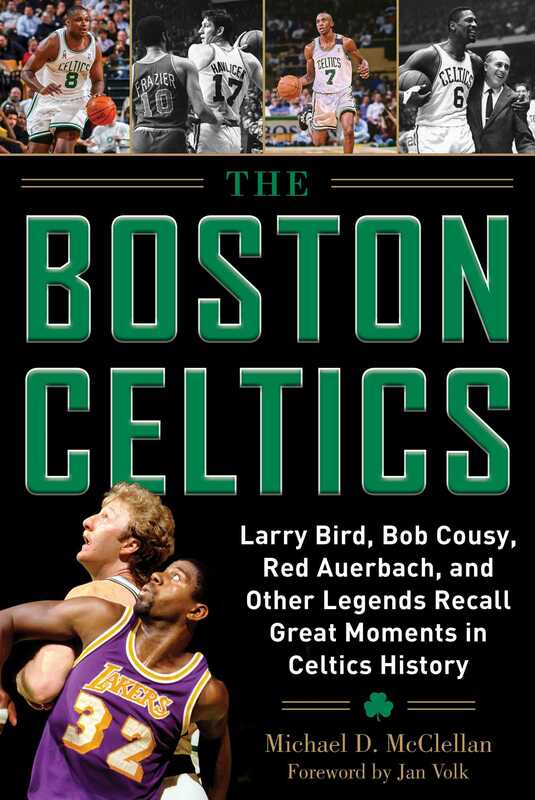 Also featuring interviews by notable Boston natives such as Michael Dukakis and Mark Wahlberg, The Boston Celtics is the ultimate history of one of the NBA's greatest franchises. Michael D. McClellan is a lifelong Celtics fan and co-founder of the wildly popular blog Celtic-Nation.com. He is also the author of Boston Celtics: Where Have You Gone?. He lives in Charleston, West Virginia.